Seven has secured upcoming US drama Battle Creek by writer Vince Gilligan (Breaking Bad). The series sees two detectives with different views on the world team up, using cynicism, guile and deception. 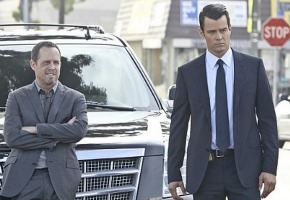 The cast includes Dean Winters, Josh Duhamel and Australia’s Damon Herriman. The Australian Financial Review reports Seven has also acquired new comedy Marry Me, from Sony Pictures Television. Seven’s Disney output deal will also include dramas The Whispers with Lily Rabe, and The Red Band Society, as well as How To Get Away With Murder, created by Shonda Rhimes (Grey’s Anatomy) featuring Viola Davis. Nine has Batman-prequel Gotham and new crime thriller Stalker starring Maggie Q and Dylan McDermott. Nine has them, but will they ever show them? Battle Creek sounds a lot like True Detective. @Mr_AJ: Well considering what happened to Smallville and The Vampire Diaries… I’m sure i’m forgetting a few more. I wonder if Nine will actually play Gotham and won’t end up selling it to Foxtel. I do like the looks of Red Band Society and Stalker. Both look extremely promising. How to Get Away With Murder looks ok and The Whispers looks creepy good. No promo available for Battle Creek so can’t say whether or not I want to see it, but Red Band Society, Gotham, and How To Get Away with Murder all have my attention. The rest I’ll give a pass to.